Want to become part of the ever-growing JGA Tour? Learn more below! Membership is required to play in JGA tournaments. Members may play in as many one-day tournaments as they choose. However, they must play in at least two (2) one-day tournaments and their Parent/Guardian must assist the JGA once during the first seven (7) one-day tournaments to be eligible for the JGA Championship. Seasonal membership registration is a one-time fee of $75 (plus individual one-day tournament registration and the JGA Championship registration as desired). Individual one-day tournament registration fees are $15 for each tournament. The JGA Championship registration fee is $45 total and includes all three (3) days of the tournament. 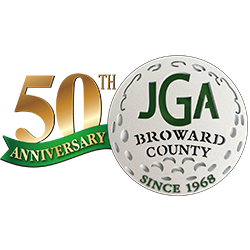 All members must pass the Rules Quiz and their Parent/Guardian must register to assist the JGA as a volunteer PRIOR to registering for tournaments. Click here to register for the 2018 Season! Click here to complete the Rules Quiz! Click here to sign up for volunteering in our wonderful community! Click here to sign up for our incredible tournaments! You’re well on your way to join one South Florida’s most inclusive, family-fun junior golf organizations! Are you excited? To complete the registration process, simply follow the steps listed and one of our wonderful board members will congratulate you personally! Please don’t hesitate to contact us if you have any questions; we can’t wait to see you out on the course!